Melanin. Color. Texture. Funk. Freedom. Afropunk, the annual music and arts festival going since 2005, is not free anymore, but with all this gorgeousness and headliners like Raphael Saadiq and Solange, SZA and Soul II Soul, Anderson Paak and ThunderCat, any money paid is worth way more than two assholes in a ring. 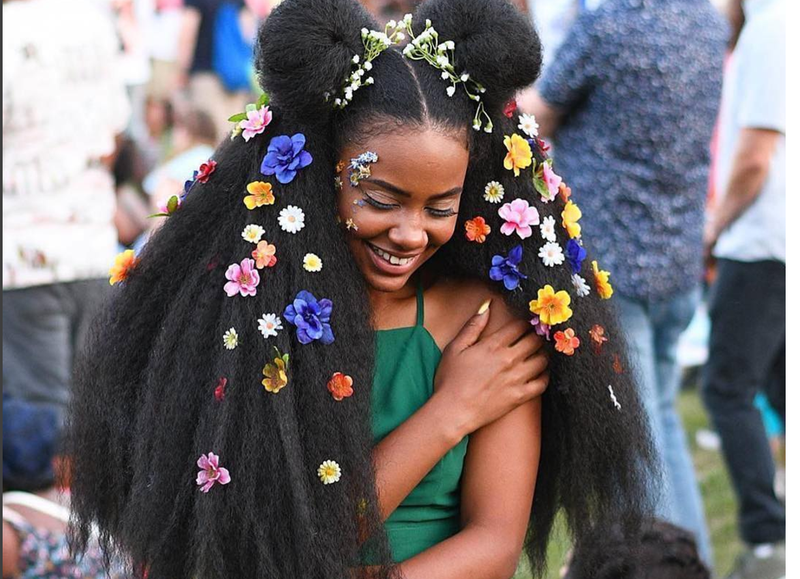 Back in Brooklyn, N.Y., this weekend, Afropunk saw the denizens of the Diaspora rocking out with colored, natural tresses, flower power and lotsa #Beards, #Braids #BlackGirlMagic and #BlackBoyJoy. This boho scene is the truth.